We offer a wonderful campsite in the south of France, with more than 200 pitches, a large number of young mobile homes (more than 30). It is really worth to request us for our brochure with the detailed description of this unique site. 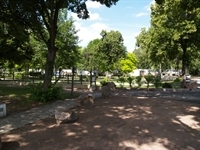 This campsite is offered by the Inter- France, Sympa-estate DECAZEVILLE. 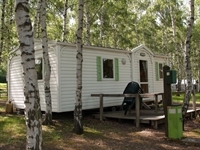 Ideal to sell, buy or even rent a camping in the SOUTH OF FRANCE, Inter-France, Sympa-Estate, specialized in the sale of campsites, DECAZEVILLE, broadcasts daily hundreds of ads to help you to sell or buy your campsite in the SOUTH OF FRANCE and offers you the home of your dreams. A house 120 m2, with 3 bedrooms.